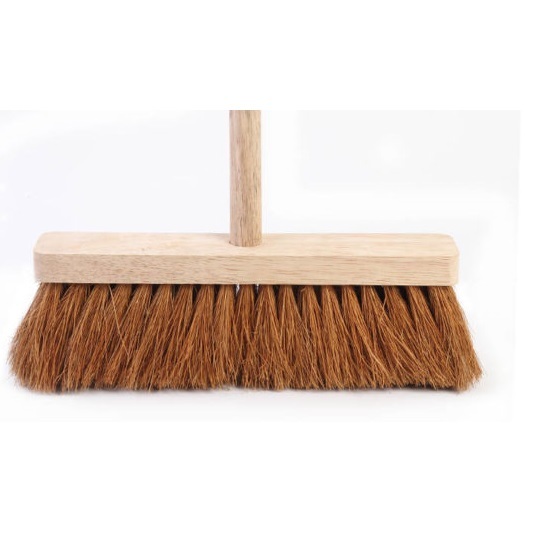 A natural coconut fibre broom with rubber wood handle. The shipping on this is a little more ($35) because it has to be sent via courier due to the long handle. Feel the difference of a natural fibre broom. Long rubber wood handle with unbleached coconut fibre bristles. The coconut fibres won’t ball on the ends and are easy to wash in soapy water and just hang in the sun to dry. Broom handle and head have a screw in thread to make it easy to assemble them at home. Eco Max Brushes are Vegan, Fair Trade & biodegradable.